Tragically underplayed in the local media, Kansas City is in the midst of a weeklong celebration of a Jazz musician who put this town's name on the map before international audiences . . . Check the guide to the the ongoing celebration . . . While there are some naysayers who downplay this week long party . . . 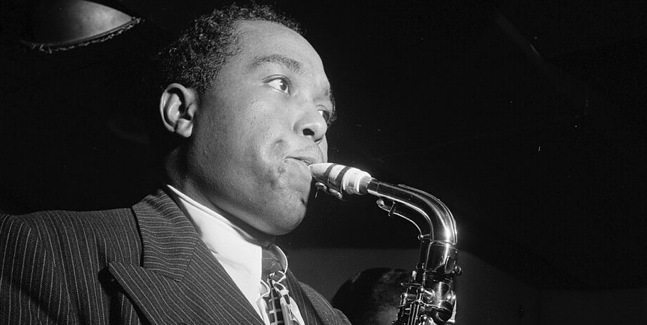 The Kansas City Charlie Parker tribute continues to be an important event that defines Kansas City's role in developing the first original American art form. ^^^^^ LOL. I see what you did there and it made me laugh!! Now since you have said that I am sure they will get the city to foot that bill as well. The local sax players aren't so excited, but the blow users are all into Charlie Baby. He is the perfect black role model. He was a felony committing junkie. Jazz isn't dead it just smells funny. If they really cared about Charlie Parker they would bury him in New York where he wanted to be in the first place. He never wanted to be buried here in Kansas City. That's why no luck with jazz district in his name. Still haven't honored others buried in colored cemetery. Going about things backwards and half assed. Only praising a select few. Shame on you. History is told by the winners. You can write it anyway you want. Not always as it was or the truth. Folks are lazy and cheap. White folks get to do some slumming. Ride about the 'hood' safely and see what and how poor black folks live. Lot of cops riding bikes that day. Police out in full force. No bang, bang while that event is going on. Safe to go down there for sure. Big money and the power that be is about. That part of town on lock down for sure...white man, rich man rule(s). It doesn't matter hwat they locks down. Why would anyone without the thug gene honor this creep? Damn find a hero that isn't a thug or junkie who actually contributed to mankind in a positive way. White men made the event and sign. Go ask their gene pool. Money is King. It trumps us all. Go TRUMP yourself.